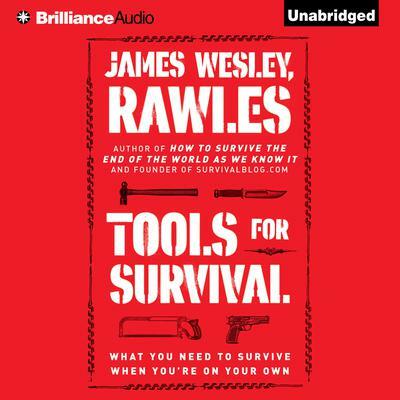 In his earlier bestselling nonfiction book, How to Survive the End of the World as We Know It, James Wesley, Rawles, outlined the foundations for survivalist living.Now, he details the tools needed to survive anything from a short-term disruption to a long-term, grid-down scenario. Rawles covers tools for every aspect of self sufficient living, including:• Food Preservation and Cooking • Welding and Blacksmithing • Timber, Firewood, and Lumber • FirefightingField-tested and comprehensive, Tools for Survival is certain to become a must-have reference for the burgeoning survivalist/prepper movement. In his earlier bestselling nonfiction book, How to Survive the End of the World as We Know It, James Wesley, Rawles, outlined the foundations for survivalist living. Field-tested and comprehensive, Tools for Survival is certain to become a must-have reference for the burgeoning survivalist/prepper movement.